Since Unity does not support panel-applets any more, I also could not use timer-applet, which I used as an egg-timer. After several 30min “brewed” teas, I finally decided that I needed an replacement. So I started writing Tea Time. 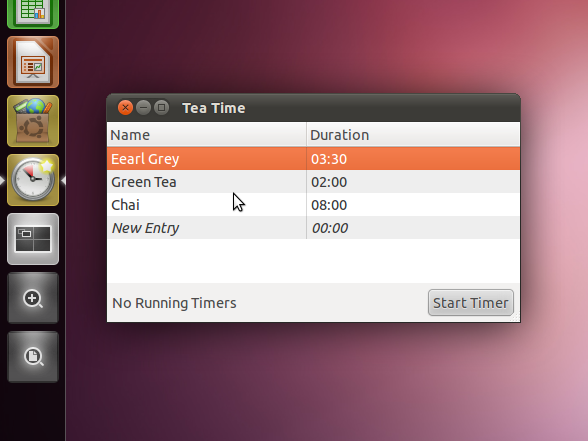 Instead of just porting timer-applet to the indicators API, I wrote Tea Time as an ordinary program and use the features of Unity instead, so I could take at the new APIs along the way. Besides I think that porting every possible applet from gnome2 to the indicators API is not the way to go. The top-right of my screen is pretty cramped again already and one really does not need to see the timer information all the time. I hope Unity will get a Dashboard similar to the one in OSX soon, as this is really the place where most of the applets belong. 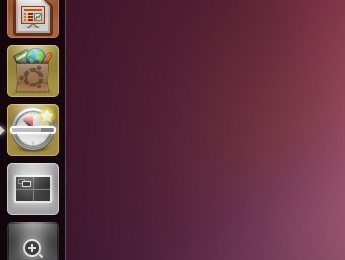 But for the time being I used the Unity launcher. So when you click on Start Timer Tea Time minimises to the launcher instead of the notification area and starts displaying a progress bar. I also added the time elapsed since the timer finished to the notification bubble. 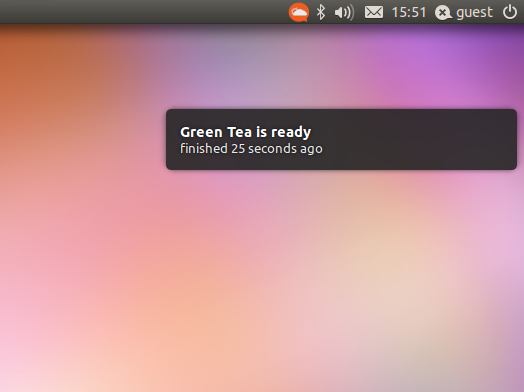 So in case you miss the first notification(did not look at the PC for instance), you now instantly see whether you can still drink your tea or whether you can instantly pour it away. Tea Time is available from this PPA.